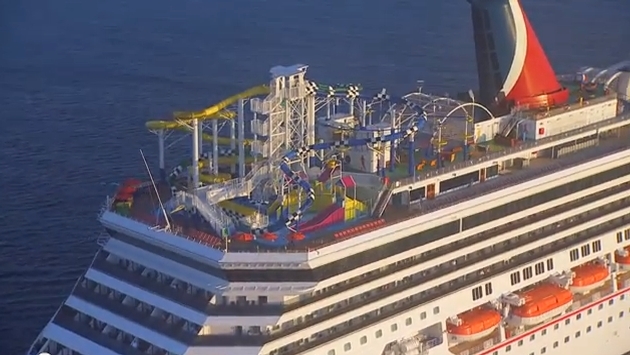 VIDEO: How Does A Cruise Waterpark Work On Water? If you've done much traveling, you know that it's not always easy getting good water pressure in your shower on the higher floors of hotels. And that's with plumbing that's fixed to the ground. Imaging pumping 4,800 gallons of water up 10 stories of a 100,000-ton moving vessel? The cruise lines pump out these new features and I'll admit, I'm as guilty as anyone of just saying, "Thank you, may I have another innovation?" without really thinking about the awesomeness of what's in front of my face. That's what struck me about this video. It explains how in the world a floating waterpark works. Good stuff from Carnival here.